(/3aj3a, PbPb, /3a /3b). The inhibins inhibit FSH secretion, while the activins stimulate FSH secretion from the pituitary. The precursor protein of MIF is a heavily glycosylated disulfide-linked dimer of 140 kDa, which undergoes proteolytic cleavage of both chains to yield a 24-kDa C-terminal fragment that has full MIF activity. The MIF shows structural homology to the /3-chains of inhibin and activin. Modified with permission from Russell, W. E., and VanWyk, J. J. (1995). Role of hormones and aberrant growth. In "Endocrinology" (L. J. DeGroot, M. Besser, H. G. Burger, J. L. Jameson, D. L. Loriaux, J. C. Marshall, W. D. Odell, J. T. Potts, Jr., and A. H. Rubenstein, eds. ), Vol.3, 3rd ed., pp. 2590-2623. W. B. Saunders Company, Philadelphia, PA.
bridges, which suggests that their structure is more similar to that of immunoglobulins than that of the dimeric glycoprotein hormones TSH, FSH, or LSH (see Figure 12-6). Activins are a class of protein hormones that are either heterodimers or homodimers of the two [i-subunits of inhibin, e.g., either /3A/3B, /3A/3,V or /3B/3B (see Figure 12-6). The activins have been shown under experimental conditions to stimulate FSH release from the pituitary. The physiological function of the activins in male reproduction is not yet settled. 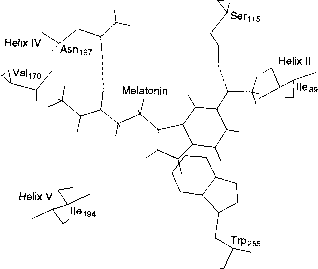 Mullerian inhibitory factor (MIF) is a gonadal peptide hormone that causes the regression of the Miillerian ducts1 during male embriogenesis. MIF is a 14-kDa disulfide-linked homodimer that is proteolytically cleaved to generate biologically active peptide fragments from the C-terminus (see Figure 12-6). MIF is a member of the transforming growth factor-/? (TGF-/3) multigene family of glycoproteins involved in growth and regulation (see Chapter 19). The blood levels of the adenohypophyseal hormone prolactin (PRL) in the male are only slightly lower than those in the female. The chemistry of PRL is described in Chapter 5. The precise biological functions and responsibility of PRL in the male are not yet known. However, the secretion of PRL is reduced under circumstances of androgen deficiency. It is known that there are PRL receptors on the plasma membrane of Leydig cells and that PRL can augment the stimulatory actions of LH on steroidogenesis. Some evidence also suggests that PRL has direct actions on the male reproductive tract, particularly the prostate and seminal vesicles, to increase the concentration of androgen receptors. There are several reports of the clinical consequences of hyperprolactinemia in the male (usually resulting from a pituitary tumor); the common observation is testicular atrophy, a reduction in plasma testosterone levels, and a high incidence of impotence. All of these symptoms can be reversed by removal of the tumor. 1 The Mullerian ducts represent an immature precursor of the female internal reproductive structures. This topic is discussed in more detail in Chapter 14 (see Figure 14-15).